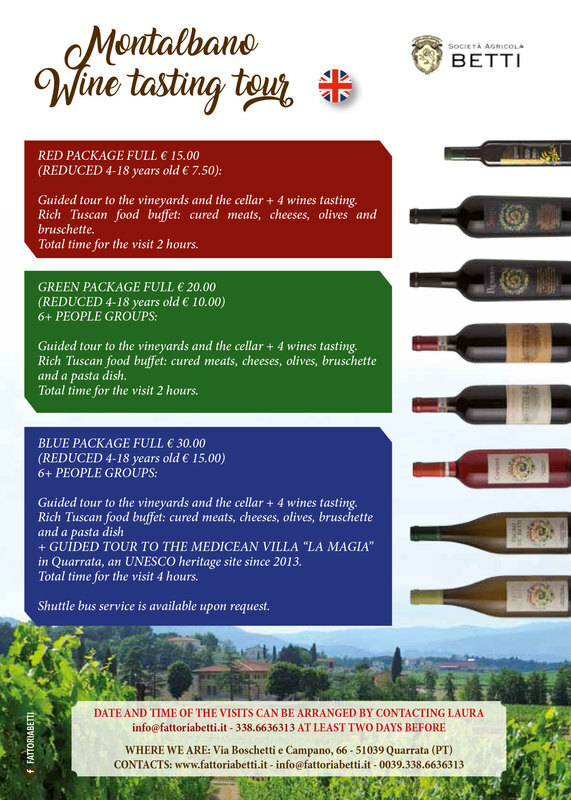 Fattoria Betti offers to wine lovers guided tours to the cellar and the vineyards and the taste of typical wines from its own production accompanied by a taste of local specialties. If you want the tour can continue with the visit to the Medici Villa La Magia in Quarrata and its beautiful Italian Garden and interiors (www.villalamagia.it). The reservation is recommended 48 hours before.